Maryland Sedation Dentist located in Burtonsville Maryland is one of just a few places in the Washington DC metro, Baltimore metro, Maryland and Northern Virginia areas where a patient can receive routine and complex dental procedures such as fillings, cleanings, crowns, extractions and implants while being under IV Sedation or sleep dentistry. 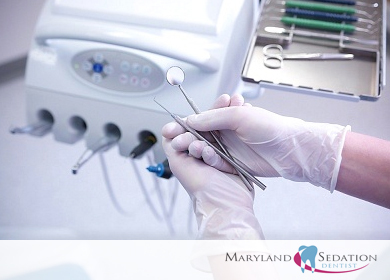 Maryland Sedation Dentistry is also offers safe mercury filling removal using the IAOMT.org protocol and many other holistic dentistry services. If you have been avoiding the dentist because you have anxiety, trouble getting numb or you are a gagger, call us to schedule a sedation dentist consult with Dr Gary Adams (our sleep dentist).